This is me these days, living my dream of editing at a home I and my husband built in the tropics. It’s been so long – three years – since I’ve written a blog post that I’d almost forgotten how to add this new one to my website. But I have a few days off and a few things to talk about, so I thought I’d write a new post, if only to let my website’s viewers and blog followers know that I’m still alive and still editing almost full-time. In March of 2015 I wrote a very popular article on the steps for an aspiring editor to take to start a successful editing career. Recently, I’ve had a number of inquiries about issues and questions I neglected to address in that March 2015 post. So this is a follow-up post, with more information about what it takes to become a successful freelance editor. Based on the questions I received from aspiring editors, this new post is in the form of questions and my answers. Q: In your March 2015 blog article on steps to becoming a freelance editor, you stated that two of the most important characteristics of a successful freelance editor are a facility for the English language and an entrepreneurial spirit. What resources did you find helpful in launching your new business? A: If I had to choose one single resource that helped me the most in launching my new business back in 2002, and the resource that is still the most valuable to me in my editing work, it would be the internet. In just about every endeavour in my adult life, I’ve been self-taught (an autodidact if you like big words), and with editing it was and is no different. When I started out editing, I knew above all that I needed a website to attract business. To that end, I began researching the internet to view other editors’ websites to see what they had on offer. I then designed and created my own. To this day, I still research many, many things every day on the internet (editing-related and otherwise), except these days it’s much easier. You can find almost any answer to anything on the internet, from tech problems with your computer or manuscript to esoteric knowledge needed for a particular book’s topic to many more articles on how to become a successful freelance editor! Other resources I found helpful in starting my new editing business are listed in my original March 2015 article: joining Editors Canada (the Editors’ Association of Canada), networking with other editors, taking night-school editing courses at my local university, and studying the Chicago Manual of Style nearly from cover to cover. (Not memorizing it, mind you, which would be impossible, but absorbing the sections on grammar and the publishing process, and learning how to use and where to find things in this massive, comprehensive tome. The Chicago Manual of Style – 17th Edition is now available online for an annual subscription, and it’s free if you become a member of Editors Canada. Q: You mentioned that your career took off after launching your website. Was that something that you created on your own? Would you recommend hiring someone to have this done or taking a more DIY approach? A: It really depends on your budget and your technical skills. When I designed my first website in 2003, I was flat broke and had zero computer skills beyond using a word processor, so I was technically incapable of building my own website. So with a design in mind, I approached a local website expert, Penny Weaver, from whom I had taken a $15 small-business lunch-hour course on search engine optimization (SEO) – even though I could scarcely afford the $15 fee. Above all other marketing tools, I simply knew I had to have a search-engine-optimized website. I told Penny about my impoverished situation and begged her to work on my site for free in her off-time, and amazingly and generously, she agreed to take time over the next six months whenever she had a chance. Once I got my first editing job, I was able to pay her back. She did an absolutely incredible job of the SEO, and within ten months, my website was, astonishingly, #1 on Google for the search terms we had chosen. Today, that kind of Google ranking and positioning is extremely difficult to achieve. On the other hand, it’s easier than ever to build your own website – especially compared with the technical skills needed back in 2003 – and it’s something you don’t need to pay anyone to do. You can also easily learn how to optimize your website on search engines. How? By using the internet and Googling, of course! 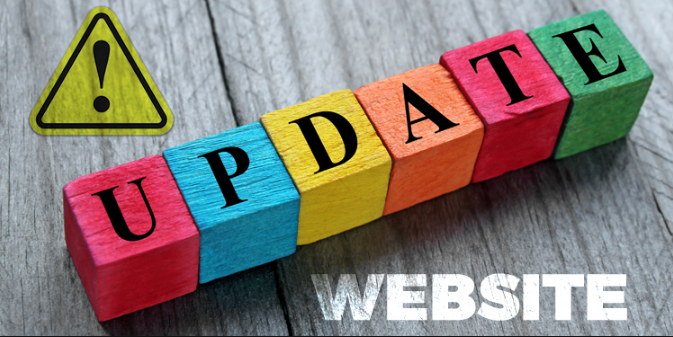 Keep your website up-to-date and well optimized using SEO. Ten years later, my website was almost embarrassingly out of date in terms of style, and although I was still on page 1 of Google for my search terms, search engine algorithms had changed and it was much harder to keep the #1 spot on page 1. But despite the risks of losing my place on page 1 of Google, it was beyond time for a new, updated, more modern-looking site. This time I had money and was able to pay a professional; however, I did indeed lose a lot of the great SEO that I’d maintained for ten years. It was disappointing, but at that point, my reputation was fairly well established and I wasn’t relying on my website as much for work; I was getting work from repeat clients, referrals, and several established publishers. Q: In your blog post of March 2015, you were not certain that the SEO would be as helpful in 2015 as it was in 2004. Do you still use SEO? Has the changing internet landscape altered your opinion of SEO? A: SEO is a lot more complicated these days, and as I mentioned above, it’s far more difficult to get a high ranking and get to the top of Google than it was in 2003 or 2004. Google seems to constantly be changing its algorithms, making website owners work harder to get to page 1. One thing that annoyed me in 2013 when I created my new site was that I had to join Google’s rather unsuccessful social media platform, Google Plus. I’ve never used it, but I joined anyway and linked it to my website since apparently those were Google’s orders and Google is the boss. Another change is that search terms used to consist of a couple of words or a short phrase; today, search terms are entire sentences, usually in the form of questions. In any case, yes, it’s still worth doing SEO, and yes, my newer site is well optimized, but I’m no longer always #1 on Google – my ranking moves around. This hasn’t altered my opinion of SEO. However, keep in mind that whether you choose to do SEO depends on the purpose of your website. Is it to be used as a kind of calling card or business card to which to point writers you’ve already connected with, to show your services and portfolio? Or is it to help potential customers find you on the web? If the latter, you do need SEO; if the former, not so much. But you do need a website. Résumés are largely passé in this profession. Q: Can you break down in rough percentages how much of your time was spent networking, editing, and doing office work during those first few years building your business? A: It’s recommended that editors should not edit for more than four or five hours a day, otherwise the eyes and brain grow weary. These days, I may only edit for three or four full hours a day, since I’m no longer editing quite full-time. The other half of your day should be spent on administrative tasks, marketing, networking, and education. I more or less followed that guideline throughout my career until just the last few years as I began to think of slight semi-retirement. (Emphasis on slight. I am still as passionate about editing as I was seventeen years ago, and I don’t see myself ever stopping entirely.) In the beginning, especially, you will want to spend more time on marketing and networking. I don’t do those activities so much these days since I’m already well marketed and well connected in the editing world. Q: In encouraging aspiring freelancers to educate themselves, you listed some ideas for classes and certifications. What have you found are the most impressive educational qualifications for a freelance editor? A: As a Canadian editor, unquestionably the most impressive qualification you can have right now is the certified professional editor (CPE) designation that Editors Canada offers. So often I wish I had it, but the fact is that I just don’t need it because I always have more than enough high-quality work coming in. It’s a four-part series of studies and exams that require a large investment of time and money. I haven’t had time to pursue it and at this stage of my career, I likely won’t. But I highly recommend it for newer, younger editors. Q: Which genre do you find the most competitive for freelancers? Which has the largest demand? A: In general, freelance editors don’t compete for genres. Many freelance editors are generalists, like me, while many others are specialists. It all depends on the editor’s background, education history, and knowledge skill set, and which genres they enjoy reading the most. In terms of the kinds of genres I receive through my website, the largest number of RFQs (requests for quotes) is for fiction from self-publishing authors. Despite the preponderance of fiction, for many years, I always edited just about anything that came my way: fiction, nonfiction, memoirs, and a plethora of other esoteric genres. It’s just lately that I’ve become more selective, and the past few years I’ve also spend a great deal of time working for a West Coast publisher on nonfiction: local history, geography, biographies, politics, art, and so on. But although I’ve always been a generalist editor, editing both fiction and nonfiction in many genres, I won’t touch sci-fi or fantasy; I just don’t enjoy those genres. However, lots of people love to write in them, so I’d venture to say that currently, the largest demand for freelance editors who work with indie authors is from writers of fantasy and sci-fi. It seems to be a trend. Q: Can you describe your typical work week? A: Most of the time, I don’t really have a typical work week, or even a typical work day, which is one aspect I like about being a freelancer. One week I may have a very heavy workload, where I work from early morning until 10 p.m. and hardly take time to eat. Another week might be lighter in terms of workload, so I’ll do admin work like tax prep, update my website, read editing articles I’ve saved, catch up on networking in my Facebook editing groups, or occasionally write a blog post, as I am now. Or I’ll just spend a little time doing non-editing things like socializing or other appointments. I love the variety each day offers. I don’t work well in a predetermined nine-to-five schedule. Sometimes I’ll work until midnight, but I’ll spend part of the day doing errands, exercising or out having fun. Other times I’ll get up at 3 a.m. and work till noon so I have the rest of the day off. The variety is part of the joy of freelancing. Q: Did you find your beginnings to be typical of most other freelance editors? A: No, not at all. Talking to other editors is fascinating because everyone has their own unique “how I became an editor” story to tell. I recount the story of my personal journey to becoming a freelance editor in my original post on steps to becoming a freelance editor. It is a rather remarkable story. At age forty-two, I was nearly destitute, working sporadic, lousy jobs, with no money and no relationship, in poor health, and depressed over it all. But I had a dream of living and editing in the tropics. I motivated myself to start my editing business, and I’ve never looked back. It took a lot of perseverance and the awareness that I had some talent for editing. And I’m now living my dream. Q: What are the greatest rewards of your job? What are your greatest frustrations? How do you handle them? A: The greatest rewards of my freelance editing career are too many to list here. I describe them in my blog post 15 reasons I love freelance editing. I mention a few downsides there too, such as no employee benefits and, for newer editors, gaps in their work schedule. Owning one’s own business always has downsides (such as the occasional rotten-apple client), and you are responsible for everything that goes wrong as well as everything that goes right. I don’t recommend this career for those who don’t have at least a little bit of entrepreneurial drive. Personally, I don’t handle stress well, and when stressful situations like a bad client or a tech problem arise, I will often call on my colleagues in the various Facebook editing groups I’m a member of for advice, support, and commiseration. Q: How does the industry measure success? A: I think the industry measures success in several ways. One gauge is whether you are in constant high demand and often have an overload of work, so much so that you’re sharing it with other editors. A second measurement is whether your authors and publishers are happy with your work and consistently give you positive testimonials and feedback (which you can add to your website). Third, do you have lots of repeat clients and referrals? Most of my work these days comes from repeat clients, referrals, and the main publisher I work for. Fourth, are you formally educated in editing and do you have the above-mentioned certifications or other credentials? These will earn you much respect in the industry. Have you won any awards or received other accolades? Be sure put aside modesty and post these publicly on your website and social media so your peers will recognize your achievements. And lastly, of course, are you making enough income to support yourself and your lifestyle comfortably? Be careful of how you appear to other editors online. An editor who constantly complains online about poor finances, poor work, or poor clients will not be considered successful. I’m not suggesting you shouldn’t inquire about work opportunities if you need them; just be sure to maintain a positive attitude. The worldwide editorial community is tight-knit, and word often eventually gets around about the quality of a particular editor’s work and their attitude about editing. After a few years in the industry, if you’ve taken all the advice in my original blog post on this topic, you will get a sense of how others feel about your work. Q: How do you personally measure success? Yes, I’m hard at work editing … and living my dream. A: Unequivocally, I feel I’m successful because I love my work every single day. If I have even a day off to relax and do other activities I enjoy, I still feel a little out of sorts because I’m not editing. It’s a passion that is all-consuming for me and has never abated since the days I began. In addition, success to me means being well respected by my authors, publishers, and peers, never having been unemployed since I began editing, and for the most part making a very decent living from it. And finally, as mentioned, I’m living my twenty-year dream of editing in a beautiful home I and my husband built near a beach in the tropics – largely with my editing income savings. Q: What have you found is your most impressive qualification in the eyes of potential clients? A: Most potential new clients who contact me through my website tell me they are initially impressed with two things: 1) my extensive and varied portfolio, and 2) the thoroughness of the content and the approachable tone of my website. As well, in 2011 I was nominated as one of three finalists for Canada’s prestigious Tom Fairley Award for Editorial Excellence, the first editor to have been nominated for a self-published book. I’m not sure how much that means to potential clients, however. Q: What is a starting price range for new freelancers? How do you charge? Per word/hour/revision? Is this an industry standard or does it vary by editor? A: I charge by the hour across all forms of work, and I recommend it. Other editors charge by the page or word or project. There’s always a lively discussion among editors about which method of charging is the best one. I try to make the point that if you have an hourly rate, you can simply extrapolate from that to get a page rate, a per-word rate, or a total project rate, depending on what you and your client prefer. Others argue that if you’re a fast worker, an hourly rate is detrimental to your overall income. I can see that point too, but I’m not a fast worker. Regarding a starting rate for new freelancers, as of this writing in late 2018, I think a good starting price might be $30 per hour. It will largely depend on your education and credentials. If, for example, you’ve already studied editing full-time at a college or university for a few years and you have some accreditation, you can obviously charge more when you’re starting out. In any case, I’d suggest moving up to $35 per hour after a year, and $40 per hour after two years. After that, it’s up to you. I currently charge self-publishing clients $50 per hour, as can be seen on my Rates/Request a quote page, and I’m comfortable with that right now but will probably raise it to $55 per hour in a year or so. I often give my publisher a discount because I love working with them so much. Q: Is there any type of software that I should become comfortable with using other than Microsoft Word? A: If you plan on doing proofreading as well as editing, at the very least you must become familiar with Adobe Acrobat Reader’s proofreading features. Adobe Reader is free. Adobe also has a professional suite you can purchase, but I find I do quite well with the free version. Much proofreading these days takes place on PDFs, although I still do some regular proofing on paper. Also, there are several Microsoft Word add-ins like PerfectIt, which is a consistency checker that helps immensely with the editing process. I highly recommend it. There are many other programs, like Grammarly, that help with the mechanics of editing. In addition, some editors use spreadsheets to keep track of their schedules and clients, time-tracking programs, and PowerPoint if they’re teaching classes. Q: In the Editors’ Association of Earth Facebook group, I have noticed many conversations about contracts. Do you write them yourself? Or is that something you would hire a lawyer to write? A: I have my own informal contract that I’ve honed after years of learning what to include in it. I freely share it with other editors. 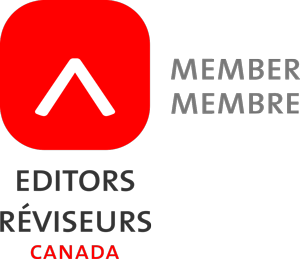 As well, Editors Canada provides a comprehensive contract (much longer than mine) for all its members to use. Many editors make use of it. I can’t imagine a situation where a lawyer would be needed for contract preparation, but there may be the odd occasion if legal material is involved in your project. And that concludes Part II of my two-part series on how to become a successful freelance editor. I hope you’ve enjoyed and been inspired by my stories, suggestions, and advice, and that you feel motivated to begin your own freelance editing career. And please do contact me or comment below if there’s any question on your mind that I may have missed. I’ll take that as a compliment, DarkOcean! In fact, it was several aspiring editors writing to me, and asking questions that I hadn’t answered in Part I of my blogs on this topic. I’m glad it feels informal and interview-y. 🙂 And no, my site has never died. It’s alive and well and better than ever, as am I! And no, it didn’t take long to collect the questions. They’ve come in over the past six months, and I kept them in a file with a view to eventually doing a blog post to answer them all. This is the first time I’ve seen your new post, Arlene. Thank you for letting me know about it. And thank you, Jean, for commenting here. I appreciate it, while I’m trying to sort out my subscriber list issues. 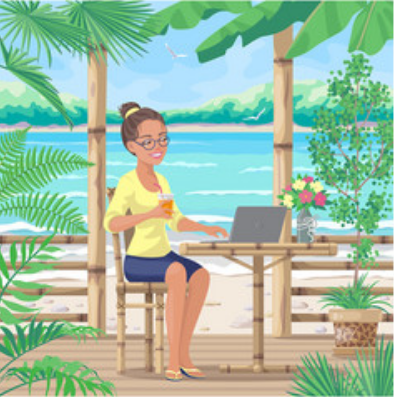 As always, Arlene, you’ve offered excellent insights on the day-to-day personal benefits, satisfaction, and challenges of setting up and maintaining a freelance editing business. You’ve defined how to live a dream job by offering the most realistically attainable means of doing so – hard work, persistence, study, and using the internet to its best advantage, citing only a few examples. Most of all, though, a great love of stories and a command of language to bring them to life. You’re an inspiring success story! Thanks for your ongoing support, Irene. I always appreciate it. I’m glad you enjoyed the article! Hi, Arlene! So glad I came across your site a few months ago. I was wondering whether would you recommend purchasing a hard copy of the Chicago Manual of Style or whether you feel having a subscription to a soft copy would suffice. I am sort of a “paper gal”, so I may like the actual book in hand, but I tend to be in different locations frequently, so soft copy may be better. Your thoughts on this? You consider the editor’s Bible? Definitely subscribe, so you own at least one hard copy. Becoming familar with the hard copy, especially the index, will help you find items more easily online. And if youre a member of Editors Canada, a subscription to CMOS online is free — a huge bonus. Let me know how you make out, and whether you have any more questions. Cindy, I charge the same rate for any kind of editorial work I do. It depends on how many hours the task takes you. Estimate how many hours it will take you and multiply by your hourly rate. It’s important to make sure the client knows it’s just a rough estimate. If when you’ve finished, you’ve spent far more time than you’ve estimated, you can then add the additional hours without feeling guilty. Thank you! I have taken on the challenge with positive feedback! That’s wonderful! Glad my advice worked for you! !